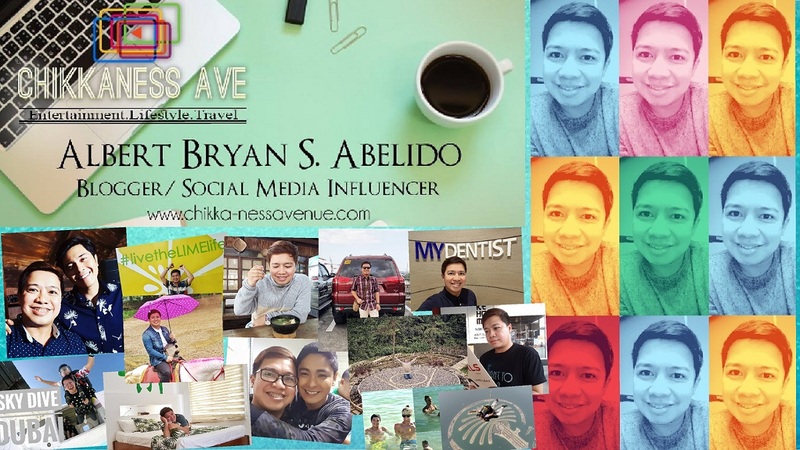 Chikkaness Avenue: Experience a Hot and Happening Summer with ASAP in Honolulu! Experience a Hot and Happening Summer with ASAP in Honolulu! 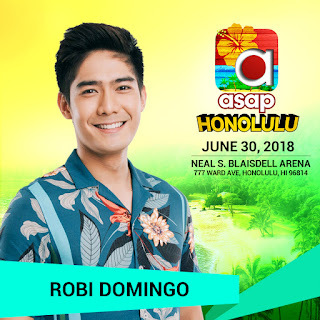 More than 30 of the Philippines’ brightest stars will be hanging’ loose and doing the shaka – a gesture of friendly intent often associated with Hawaii - when ABS-CBN's The Filipino Channel (TFC) brings ASAP, the longest running, top-rated weekly Filipino musical variety show, to the Aloha State of Hawaii on June 30, 2018 at the Neil S. Blaisdell Center in Honolulu. 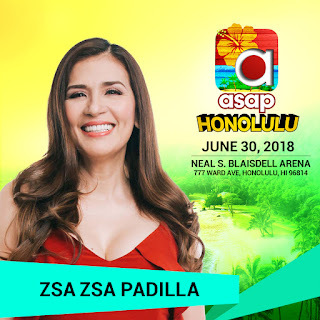 After captivating the SRO crowd at the Ricoh Coliseum in Toronto, Canada last year, with their world-class performances and musical numbers, the ASAP family will surely win the hearts of the crowd in the beautiful island of luaus and mai tais this summer. 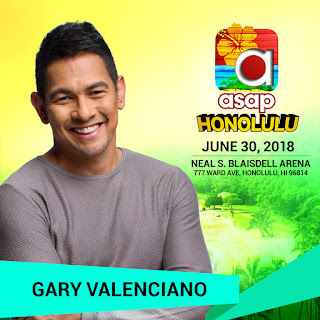 Here is the rundown of the first wave of celebrities expected to wow Hawaii: Gary Valenciano, Martin Nievera, Ogie Alcasid, ZsaZsa Padilla, Piolo Pascual, Toni Gonzaga, Robi Domingo, Pia Wurtzbach, KZ Tandingan, Morissette, Yeng Constantino, Angeline Quinto, Kyla, Daryl Ong, Erik Santos, Inigo Pascual, Darren Espanto, Moira Torres, and Zia Quizon. More artists will be announced in the coming weeks, so be on the lookout, save the date, and be sure to get tickets for the whole family. Your ASAP in Honolulu ticket guarantees you entrance to the ASAP Marketplace where you can enjoy food, drinks, games, prizes and a lot of engaging activities, starting at 10:00 A.M. All these pre-show activities will be at the Neal S. Blaisdell Exhibition Place. 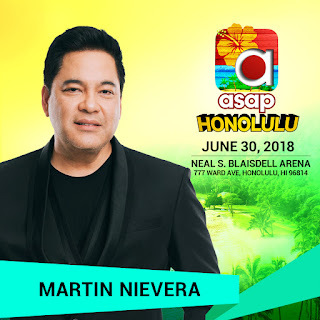 The main show will be at the Neal S. Blaisdell Arena, where entry begins at 2:00 P.M., pre-show at 3:00 P.M., followed by the ASAP concert at 4:00 P.M. 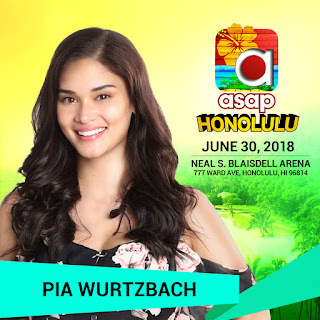 It will be a whole day of fun for the whole family. 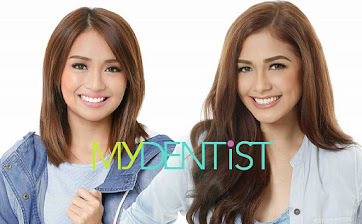 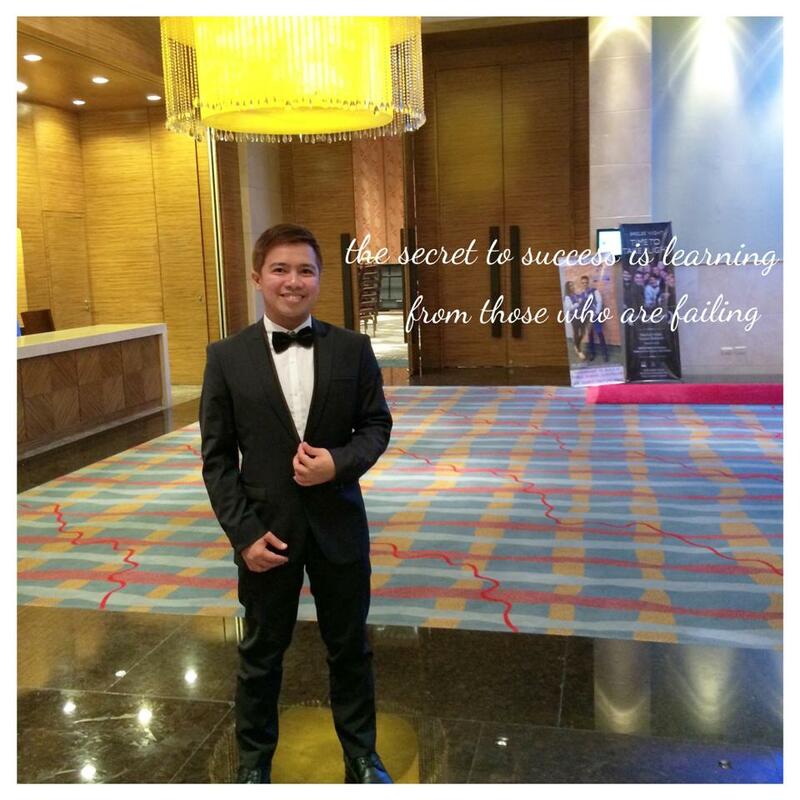 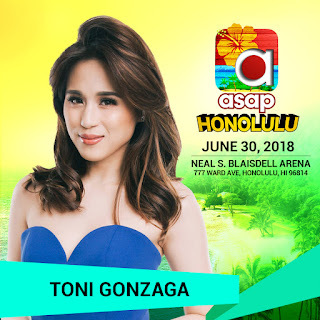 Tickets are at $150, $120, $85, and $55 and are available at Ticketmaster.com and from authorized Filipino outlets. Tax and service fees may apply when purchasing from Ticketmaster. 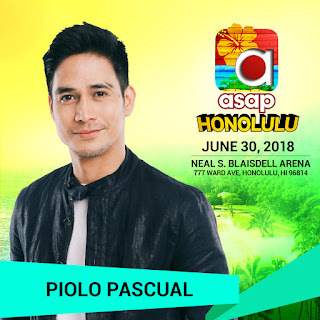 Click here for more information, authorized ticket outlets, to register for the TFC Live Events app for a chance to win prizes, and to buy tickets. 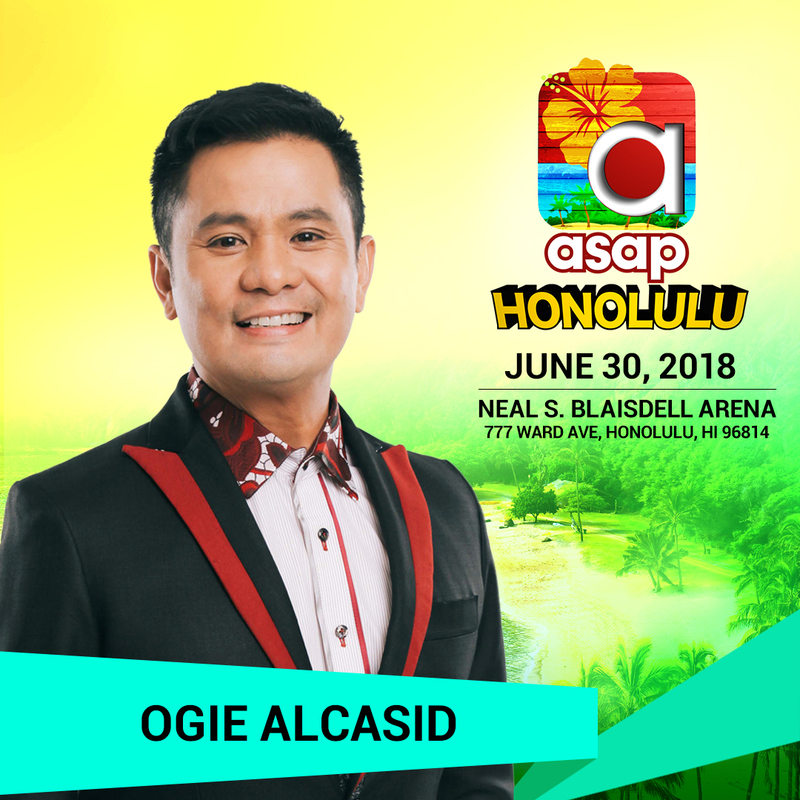 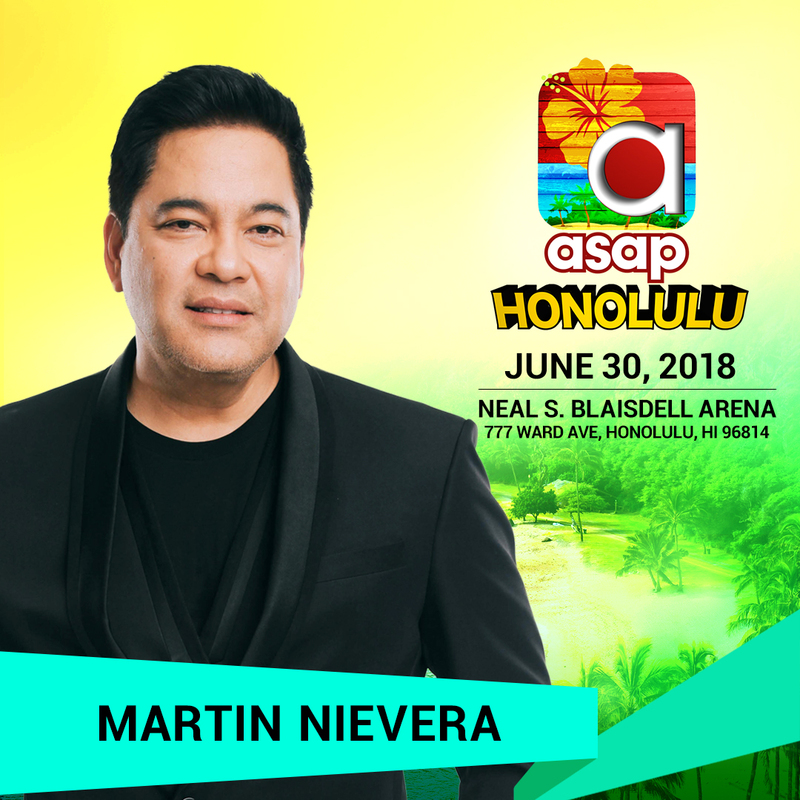 Get ready to have a most memorable, maikaʻi (wonderful) summer when your favorite stars imbibe the aloha spirit in ASAP in Honolulu.